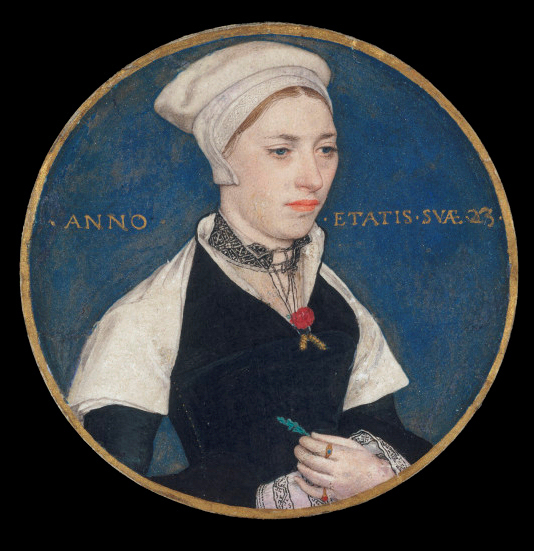 Miniature portrait of Jane Small by Hans Holbein the Younger (1497-1593), strikingly realistic. Holbein was a court painter of Henry VIII. Most of his models were nobility, but she was not. One of her daughters, Katherine, was accused of adultery by her husband who put four children his wife had born on the Mayflower, the Pilgrim ship which sailed to America. Three of them died. This entry was posted in art, Northern Renaissance and tagged art, england, Hans Holbein, Northern Renaissance. Bookmark the permalink.